Dreaming of secluded tropical islands, deserted beaches, communing with nature, a romantic, relaxing escape from the ordinary vacations you’ve done before? Let Charter Specialists fulfill your dream with a Crewed Yacht Charter… once you do, you’ll never go back to a cruise ship or resort vacation again! Charter Specialists specializing in arranging All Inclusive Vacations on private yachts throughout the Caribbean and the finest vacation destinations worldwide. Cruise the British Virgin Islands (BVI), St. Thomas & US Virgin Islands, St. Vincent, The Grenadines, St. Lucia, Antigua, or perhaps closer to home in South Florida, the Florida Keys, the Bahamas, New England, or explore Greece, Turkey, Italy, Croatia, Tahiti, the Seychelles and beyond! Our staff travels the world inspecting and evaluating the yachts we offer, ensuring the vessels and crew we recommend are personally known to us, and are maintaining the standards our clients demand. Unlike other Charter Brokers, we do not Sell yachts on the side…. we do not Manage yachts nor no we have any financial interest in recommending one yacht over another. Our recommendations are truly unbiased! We have access to every charter yacht in the world, so we are not restricted to just a single fleet of yachts. We can select our recommendations from a wider choice of vessels that are best suited to your group’s requirements. Our team of Specialists use our personal knowledge of the global charter market to recommend the best options for you, our only client. Visit our website at www.charterspecialists.com to preview hundreds of luxury crewed charter yachts, sailing yachts, motor yachts, catamarans and motor-sailers. Put your vacation in the hands of a specialist! Contact Judy Ashley at +1 386-454-1261 for help in planning a truly memorable charter vacation for you and your loved ones, a family reunion, a honeymoon, wedding celebration or a unique Corporate Event. She and her staff will assure a trouble free holiday, from start to finish. 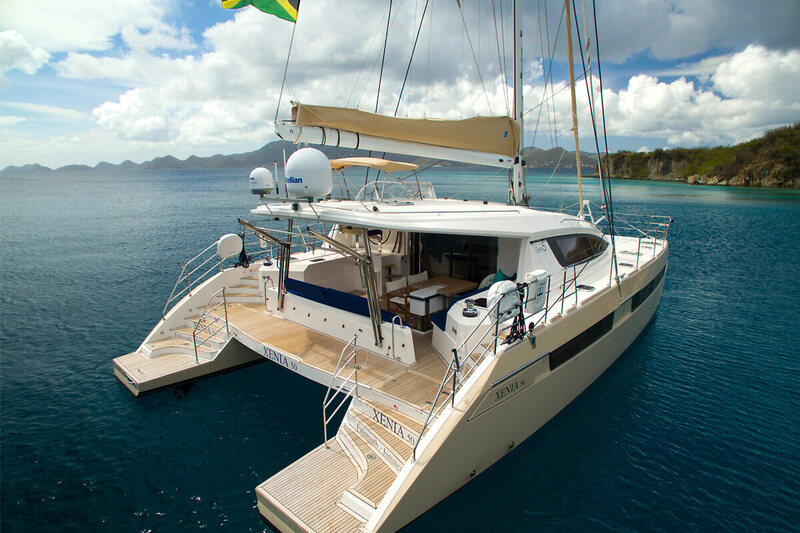 Let Charter Specialists Help You Cruise the British Virgin Islands!